Some pictures are from the original build. Whoa, what are the names of those components you've got in your front bays? Oh my gosh...you're right, that's a tablet! Crazy! Bottom: A cheap android TurboTab C8 7" tablet. Using it with iDisplay from the Play Store. System was built back in June of 2012. This last weekend, I had to replace my SSDs due to failure of the original SSDs. I also added the second video card and the triple monitors on Sunday, but everything else was from the original build. Which SSDs failed on you and how long had you used them? Did you use them heavily or were they just bad? Lasted me from June 2012 to last Saturday (Sept 14, 2013). I ran everything from them. OS, programs, and games. I guess you could say it was heavy usage, but I'm not sure exactly. These were my first SSD's so I have no idea what I should have expected out of them, but getting almost 1.5 years seems pretty crappy. I was not pleased. Research told me I wasn't the only one having the same problem with these drives. This build is epic! Some great choices overall. I wish I could see pictures of the inside though, I wanna judge the cable management and see what all the parts look like on the inside. I have a question though, how are those speakers and that monitor? I'm considering getting both of those after looking at them and since you have them, I wanna know how they are. Hope you're enjoying your build! I'll add a few more pics sometime this week. Cable management with this case is beautiful. Can't think of how I would improve it. Video card power cables are always a pain, but that might just be the nature of it. 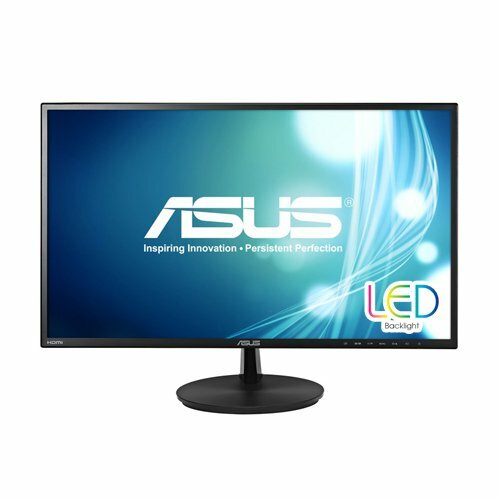 The three Asus VN247H-P's are amazing! They were an upgrade from a 4 year old LG W2452T (a total POS, IMHO). Best part of my entire rig, but maybe that because it the part I look at the most. Heheh! Okay. I also have two headphones I typically use most of the time when I'm gaming (Turtle Beach X12 and Audio-Technica ATH-M50) and man do I love them but I just want to get some speakers on the side to watch videos, movies, etc and I'm sick and tired of my old speakers. And no, I didn't have questions on the speakers in the monitor, I was just wondering how they look, how good you think it is, things along those lines. I'm interested in getting that now, it looks fabulous! hey what do you have the mic volume set to on your megalodon? i had to set mine to the lowest setting and my friends say its still very loud and gives a lot of white noise. In windows, I have the mic level set to 35. On the controller, both the vol and sen are set to three bars. It is a total pain trying to get these headphones to play nicely. If I had known this about them, I would have chosen a different set. Whatever, I can deal with them... for now. The audio is great and the 7.1 works very nice in games that support surround sound. I use them with TeamSpeak3 and haven't gotten any complaints. All I can say is Good Luck! With the settings above, my friends have quit complaining... or they've just gotten tired of saying anything about it - not sure which. I'll ask them again tonight when we're playing Borderlands 2. Here, have a +1. Nice build! Tablet on the front looks wicked- is it a permanent fixture or a mounting position? What is it displaying in your photo? The only thing I have to question is the SSD setup- two 60GB kingstons? Granted they are (hopefully) striped but a build like this should really have a large single SSD, there isn't a lot of benefit to be had by striping smaller SSDs over a larger, single drive. As for the SSD's... I originally ran a single 120GB SSD. "Aquired" a second a short time later and decided to give it a go in RAID-0. Ran benchmarks before (single) and after (RAID) and found that the gain wasn't extreme, yet there was a gain. Left the setup at in the RAID-0 config and ran with it. Last weekend those drives dumped hard. BIOS could no longer see them and inside a USB enclosure, they were not recognized. As far as I'm concerned, they gave up the ghost. 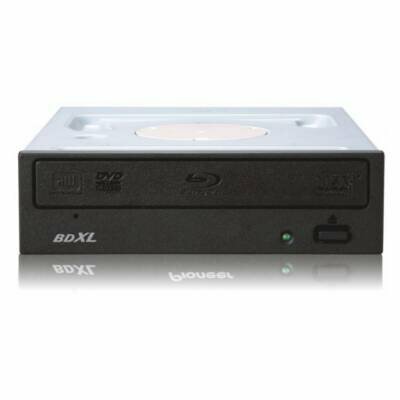 Researching for new drives, I found that Samsung's 840 series and the Kingston SSDNow series all had very high marks and very few reports of drives going bad. A quick trip to my local BestBuy (Remember, this is a Sunday and if you think I was going to order online and wait three business days for delivery, you're nuts!) and found that they had both instock. 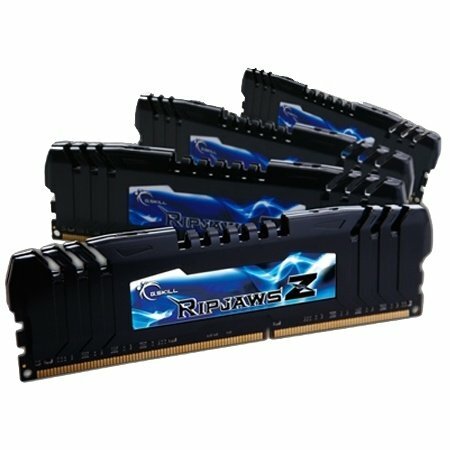 Simple math was required: 2xKingston 60GB = $130, 2xSamsung 840 120GB = $300. 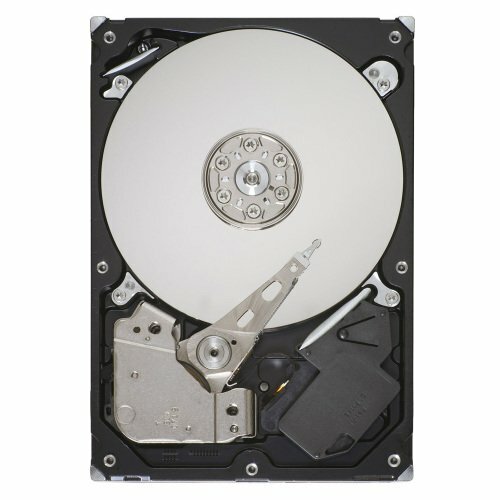 Hmmmmm... Decided to go with the two Kingston's and add a 1TB Seagate = $70 and call it done for a total of just over $200. Is it ideal, no, but it works. Benchmarks are slightly better than they were with the old setup, so I'm good with it. When you put it that way, it does sound off, but the truth is that I spent $155 + $33 for audio... the Razer Megalodon's are what I use. I have kids and a girlfriend who don't want or need to hear what I'm playing or what my friends are saying... from the back yard. No offense taken, Bro. We're good. Thanks and you are correct, Sir. She is a Rubik's Cube! I love those things! I'll try to get this info and additional pics up tonight after work. 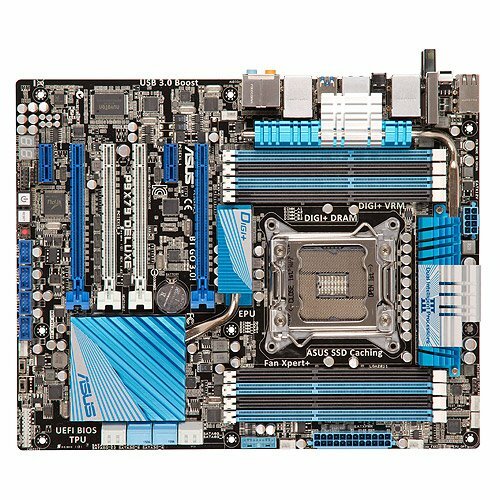 How is the Motherboard nobody sells it on here anymore. 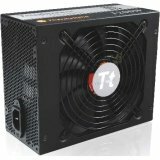 In your build you have the newer released Deluxe board listed. You may want to override. Good call. I didn't even notice it. I've fixed it. Thanks. what do u think about your board I was thinking of using it in my build I know it has more 3.o USB than the Pro and a newer Bluetooth What is your opinion of board Why do U think it is not a very popular board for builds on here? I have no idea why others don't use this board. There is nothing wrong with it at all. 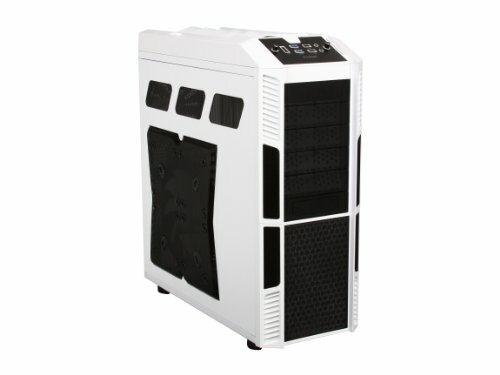 Overclock friendly, 2, 3, & 4-way SLI, built-in Bluetooth w/ WiFi, USB 3.0, etc... The list goes on. My only complaint is that the built-in WiFi 802.11n is 2.4GHz band only. In the four months I spent researching my parts, I found nothing that said 'do not use'. It had top reviews at the time, so maybe it was the price that prevented it from being used. I have no regret in picking this board for my rig. 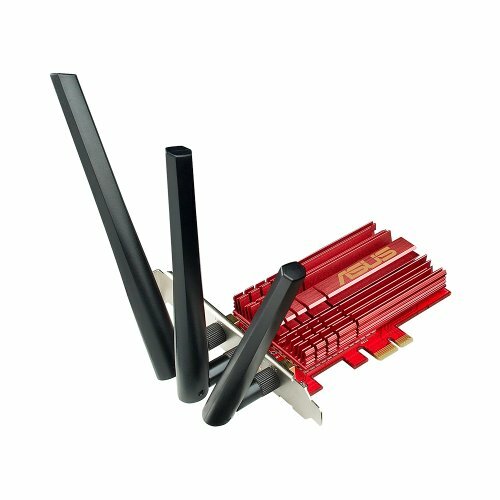 the price is a little high at $349 and stuck there for months I think I will hard wire ethernet so WiFi shouldn't be a problem. I like the board a lot too Just a bit leery since few use it and the price$$$ Do you use the second ethernet port or any plans for it? If my situation allowed, I would be wired as well. As for the second ethernet port, I can't figure out why someone would need this - servers, yes, but a game board? Anyway, I have no plans to use it. Correction I got carried away in the above response. This board is only 2-way & 3-way SLI. Someone looking for 4-way will need to find another board. Sorry. Did you run into any problems fitting the h100 in there? I had to physically alter one of the fans to fit my h100i in mine. I'm surprised you don't see this problem around the web very much; the thor must not be that popular.? The single large fan that was in the top of the case had to be removed - 4 screws and done. 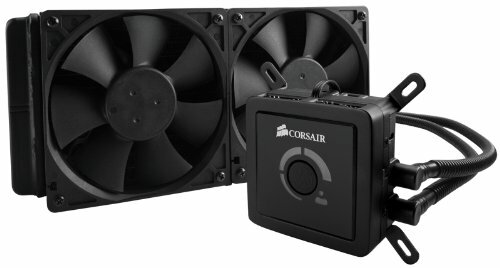 The best part is that the case has multiple sized fan and/or radiator holes machined in it. It was nothing to install the radiator. The only possible issues I could see would be that the radiator and fans might 'hang' too low for some motherboard components, but that depends on the motherboard. The P9X79 Deluxe fit perfectly. Check out the pics of the radiator install and you will see what I'm talking about - you'll be able to see how close the fans are to the top of the motherboard and around the CPU power connector. It was tight, but there is no binding or stress on any part. Like I said, it fit perfectly, however, I would not have been upset if there was a little bit more wiggle room. Ah yes now I see. Wow it really did fit perfectly! The cpu power header on the m5a99fx is about 1-2mm too high so I took a hack saw to the stock fan from the h100i, safe to say she fits quite "perfectly" now. Good looking build! Nice. Perfect is in the eye of the builder. We do what we have to... to make it work. 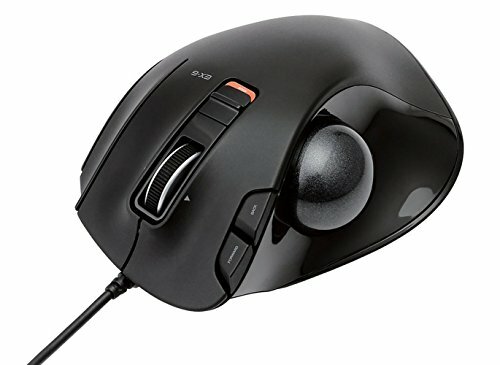 Is the Asus VN247H good? 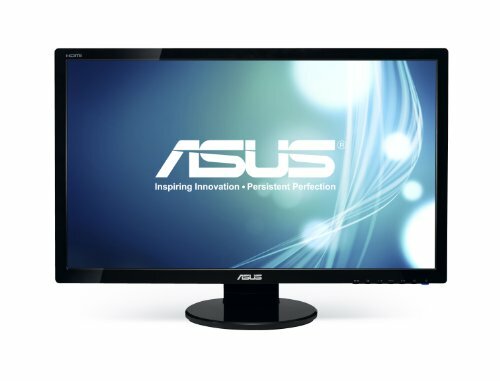 How are the colours on this monitor and how you found the gaming on this monitor? How are the viewing angles because many people say TN panels are not too good. Whats the monitor stand you have the monitors on ? I have two of these monitors and I'd swear by them. Incredible color, no ghosting, and reliable image clarity. Viewing angle isn't very wide, and cuts off very poorly vertically, but I only ever had an issue when I was using one as an emergency TV. For PC use you'll never have an issue. The initial settings are pretty bad, and the buttons are not as well placed as I'd hoped. The stand is also pretty flimsy feeling, but the actual display panel, what you're really buying the monitor for... is fantastic. The thin bezel is nice too. I don't remember the exact name of the stand and can't remember where I got it from. Maybe it was eBay or Amazon... I'm not sure. Think I spent about $75-$100 on it. As for the monitors... they are amazing! I'm not sure about the viewing angles for them, but in my triple monitor setup, there isn't anything I can't see. A really great feature of these is the tiny screen bezels - Makes for a tighter viewing of all three into an almost seamless experience. Nice build! Where you get the cool skull thingies?! Picked up some cheap science flasks and some led lights off ebay. Fill the flasks with water and food coloring. Drop the lights into the bottom of the cups and set the flasks on top. More than a year old, you're still updating it. Damn, man. Yep. She might be old, but very few of the newest builds can beat her. Beautiful setup and build, Excellent description also. I have 1 question, I've been looking for a new desk and that one would fit my needs perfectly, Whats the name of it if you know? I'm pretty sure I got it from Staples, but I also think it was a discontinued model. Completly new benchmarks will be run ASAP. Upgraded Power Supply and switched over from the RAID array to a single Samsung 840 Evo. New Stock benchmarks have been completed and posted with links. 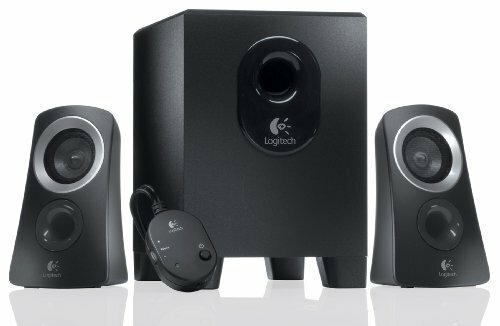 Do you like the Logitech speakers? Probably 99.99% of the sound from my computer is heard through my headphones, so, to be honest, the best I can tell you is that they work. 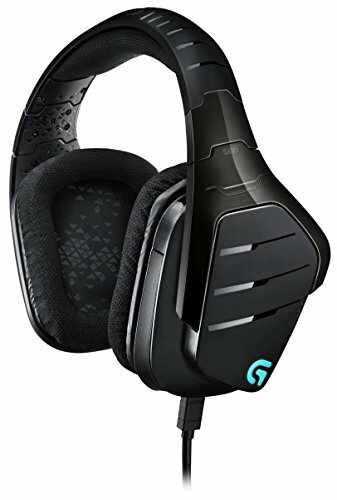 Looking at the same headset? How's the quality? Why did you choose dual 1070s? Actually, my decision was just a single 1070. I replaced my dual 970's and found the benchmark scores to actually be lower than my original 970's. Not happy with this finding, I put my 970's back into my machine and poped the 1070 into her computer. Anyway, a few days later she saw what I had done and inquired as to why I gave her the new 1070. I explained it and she let it go... or so I thought. A few days later a package arrived at my door containing two 1070's. She said she bought them for me because she saw that I was disappointed that the single 1070 didn't cut it. Since she became the benifactor to my loss, she felt bad and wanted to help. So I ended up with dual 1070's. They almost doubled my 970's benchmarks so everyone was happy. Lol. What's your cinebench score? 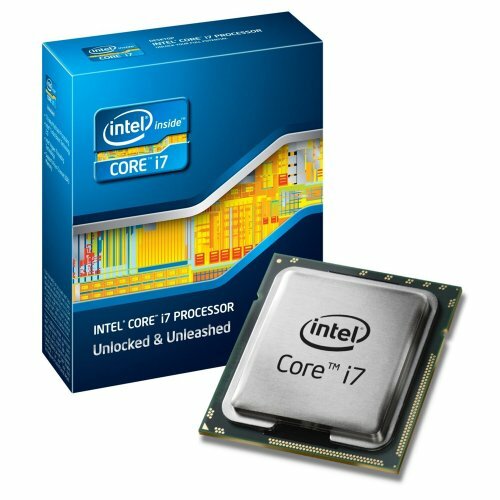 I was thinking about building similar rig with cheaper 32gb quad channel ram (compared to ddr4) with one 1070 or 980ti.